Ben has worked in the industry since 2003 and offers a wealth of local knowledge and experience in the buying & selling of property. 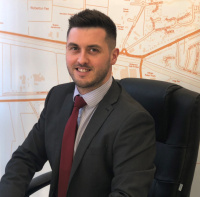 Ben joined Newton Fallowell in 2009 having previously worked for another local agent, and soon became a Director of the Boston branch and more recently, opened Newton Fallowell’s Spilsby branch in 2104. Ben oversees the day to day running of the branch, as well as specialising in the areas of valuation, sales negotiation and sales progression. Outside of work, Ben is an avid Manchester United fan and enjoys spending time with his wife and young son as well as having a keen interest in property having recently completed his own self-build project.